The goal of equitation science is to enhance our understanding of how horses think and learn, and to use their natural behaviour to train, ride or compete with them in as fair a manner as possible. The welfare consequences of training and competing horses under different protocols are explored. 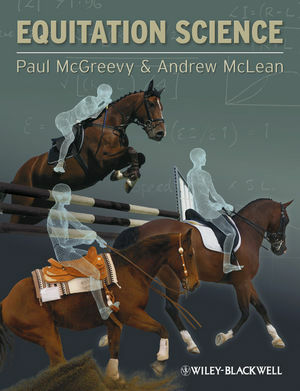 Drawing on traditional and emergent techniques, this book incorporates learning theory into an ethical equine training system suitable for all levels. It also focuses on evidence-based approaches that improve rider safety. "Equitation Science is one of those rare books that is going to change the way we train and manage horses forever. It brings together a fundamental understanding of the way horses think and behave and presents a system of modern training that has the welfare of the horse at its core – it must be the foundation work for the next generation of professional and amateur riders and trainers. Riders will ride better, trainers will train better and we will have happier, healthier horses." "I found this a very interesting and enlightening book. Equitation Science will help anyone involved with horses to understand them more and to be more effective in their training and education. The knowledge this brings to anyone involved with horses should help to make the horses’ lives easier and therefore allow the partnership between humans and equines to flourish." "Equitation Science is an ambitious and thorough look at an enormous range of areas, approaches and factors concerning the training of horses. The authors have an underlying theme to their text of scientifically assessing and then also promoting the use of ethical and humane methods of horse training to increase all sport horses’ welfare and happiness within their sporting requirements. Equitation Science also provides an invaluable insight as to how and why what we do with our horses actually works."